Thank you to everyone who came out to Proud Papa! More shows coming up- stay tuned! In the meantime, check out these photos by Mike Taylor-Mozer! Here is my 2014 acting reel! There are so many talented people that helped make this possible, watch and enjoy! 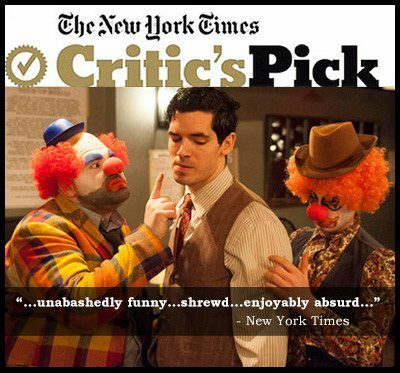 This weekend Company 29 had its inaugural run at The Magnet Theater in NYC! It was an honor to write and perform with Company 29’s PS 2012! 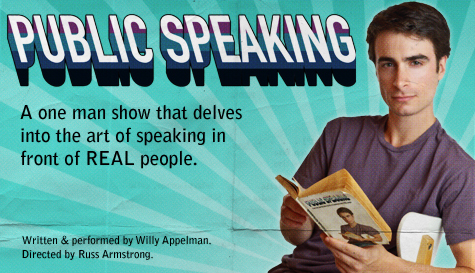 There will be an all new show next month, if you missed this show stay tuned for more. 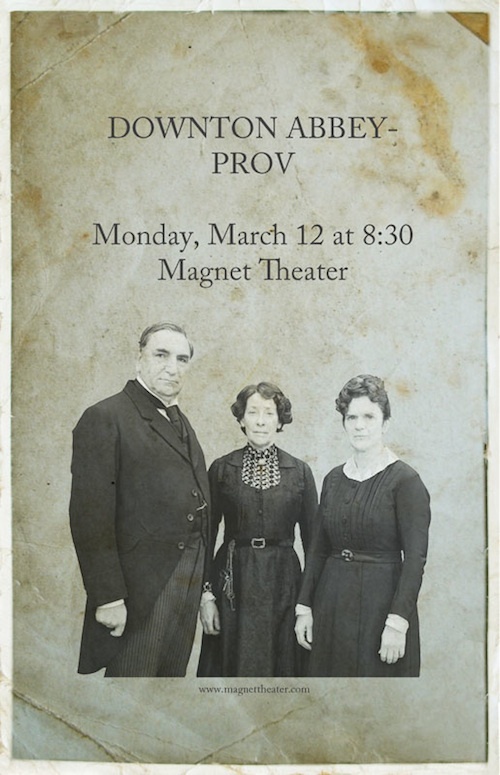 Check out the post on the Magnet Theater blog! Monday Aug. 22nd marks yet another delicious Deep Traffic. 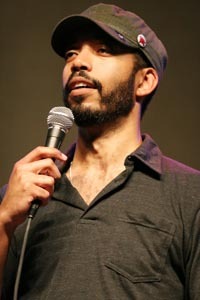 This month we have the honor of bringing The Daily Show’s Wyatt Cenac to the stage! 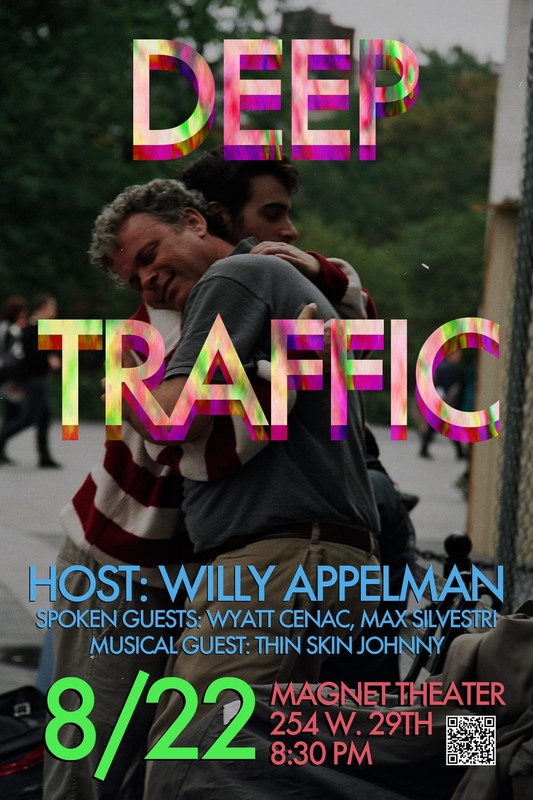 Get your tickets now, here, and come and enjoy Wyatt Cenac, Max Silvestri (Big Terrific) and musical guest Thin Skin Johnny! It has been an honor to build an improv competition with Peter McNerney and Rick Andrews at The Magnet Theater. 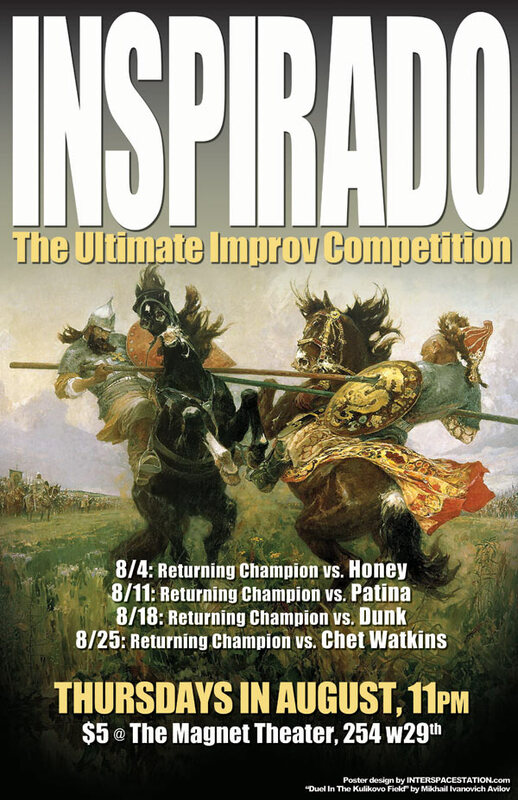 Inspirado is a weekly improv show at The Magnet Theater at 11pm on Thursdays, the show has been running for over 2 months now! Every thursday at 11pm two teams face off for the honor to hold The Dale North Memorial Trophy and the chance to come back next week. 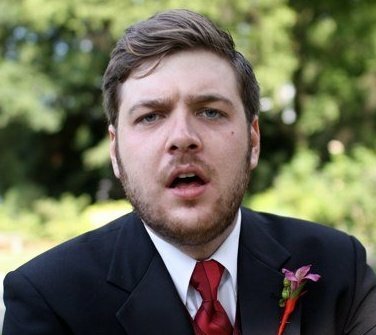 This thursday I will be hosting the show with Peter McNerney at 11pm! If you have a chance, come by the Magnet and catch one of these show during the month of August. BOOM!